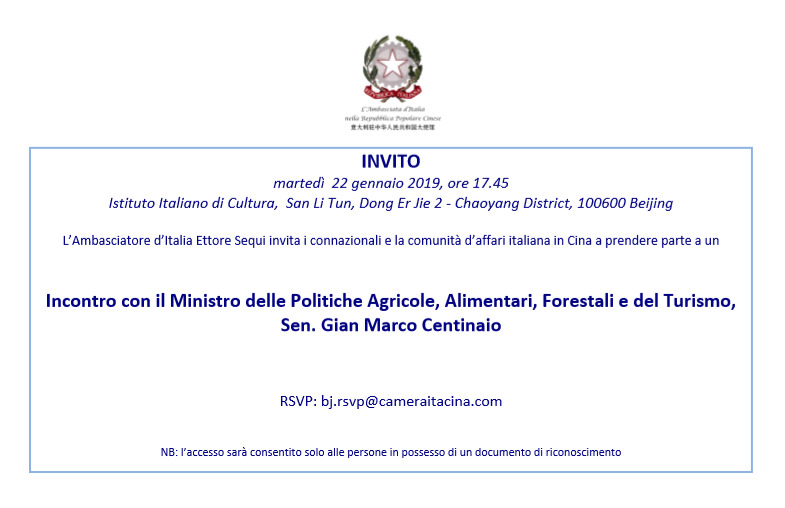 China Outlook 2019: "Il punto di vista italiano"
The China-Italy Chamber of Commerce is glad to invite you to the Martial Arts and Harmonic Principles Coaching Event, that will take place on 12th of January at The Center in Shanghai. Free the human potential through the techniques of ancient warriors. If you are a "seeker" this seminar with Master Mauro A. D'Angelo is for you. The China-Italy Chamber of Commerce would like to wish you a wonderful 2019! To celebrate the beginning of the new year together, we kindly invite you to attend the first CICC Members' Informal Meeting of 2019 that will take place on Tuesday 8th of January at Ai Fiori Italian Restaurant starting from 19:30.